This is such a pretty sapphire & 18ct yellow gold pendant. Designed and handmade by Jean Wilkinson it is known as Cyclamen. 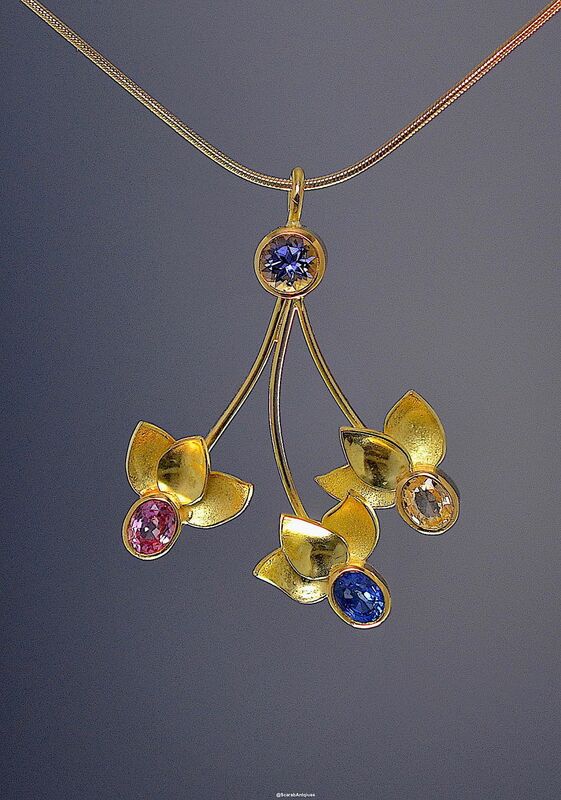 At the top of the pendant is a round blue sapphire set in an 18ct yellow gold rubover setting. Attached to this setting are 3 curved 18ct yellow gold wires each terminating in an 18ct yellow gold cyclamen flowerhead. 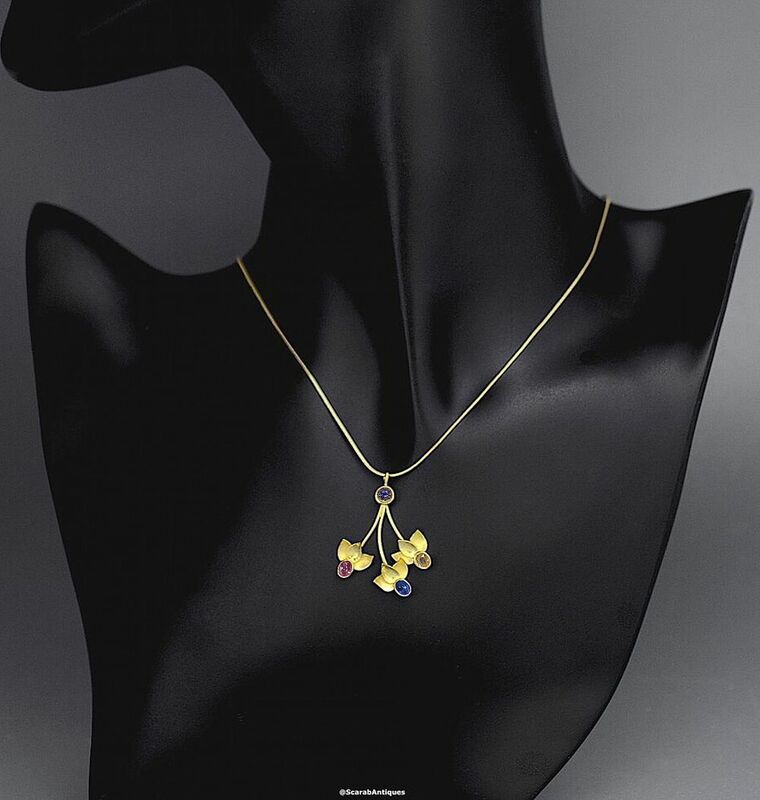 Each flowerhead comprises 3 curved petals the 2 outer ones having a brushed finish and the middle one being polished. Each flowerhead has an oval rubover set sapphire beneath the petals, one outer sapphire being pink, the middle one being blue and the other outer sapphire being yellow. The pendant hangs on a fine 18ct yellow gold snake chain.